Create a simple site to collect data from your users. 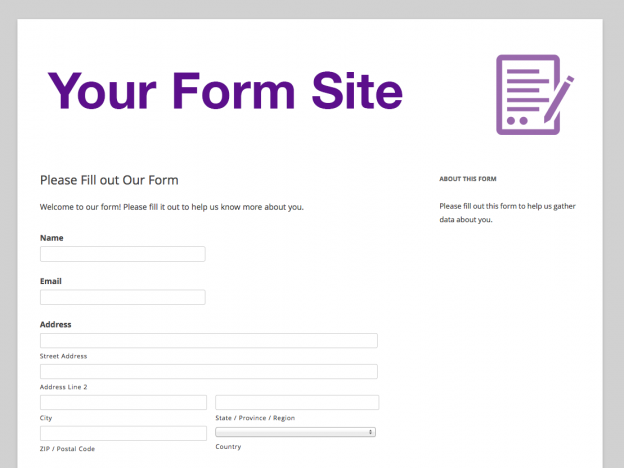 This template will give you a basic template if you only need this site to collect form data. If you want a full-featured website you might be better served by our Organization Template which also includes an example form page.